To date we have supported many non-profit organisations and events including giving food donations to three different animal shelters in Croatia, supporting student developer challenges at local universities, Ignite and TEDx events, DIY music festivals and some other things along the way. We even organised a local World IA Day, almost completely on our dime. Today, people should care about each other more than ever. If you are in a position to help others by making a small donations and they can use it to create and make something awesome from nothing – do it. If you don’t have a huge budget, instead of investing a lot of money into enormous already-sponsored charity campaigns, you can spend far less money and support few great ideas in your industry. That’s exactly what we decided to do here. 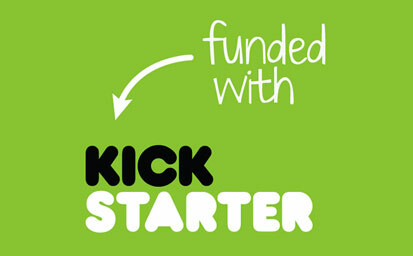 We asked our team members to provide us with interesting projects on Kickstarter that they would like to support. Over the last few months we have backed a total of 11 projects. Ten of them have been successfully funded and we are very happy to be part of that! An all-in-one weekly appointment calendar, journal, goal setting guide, and to-do list log integrated in one handmade planner. This tool revolutionises key carrying. It’s super stylish, quiet, organised, scratch free and infinitely customisable! A beautiful, design led experience of what it feels like to struggle with reading. A computer and coding kit for all ages, all over the world. Simple as Lego, powered by Pi. Make games, learncode, create the future. It allows anybody with a smartphone to easily take high quality pictures. The new level of possibilities inSmartphone photography! All-in-one musical invention kit which allows you to make an instrument any way you want. PowerUp turns your self-made paper airplane into a smartphone-controlled flying machine. Tooga Gear: Modular camera gear for DSLR, gopro, smartphone etc. The first truly modular camera gear that allows you to capture stunning footage in a small form factor without compromise. 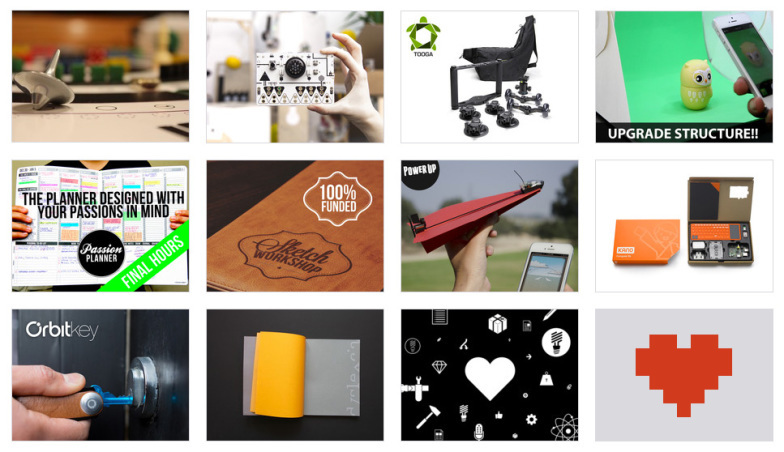 We don’t have the budget to support and solve the huge issues in the world we live in, but with just a few bucks we were able to be part of some really interesting innovations and well designed products. We’ll keep backing our favourite projects from time to time, so feel free to follow us on Kickstarter. Also, we’ll continue searching for opportunities to support and encourage others to create. While we create nice stuff ourselves here, it’s our mission to inspire others to create meaningful stuff as well. How do you give back to your community and the people around you? Do you think you can do it better? If you don’t give back at the moment, what’s stopping you?